A stroke is a serious life-threatening medical condition that occurs when the blood supply to part of the brain is cut off. 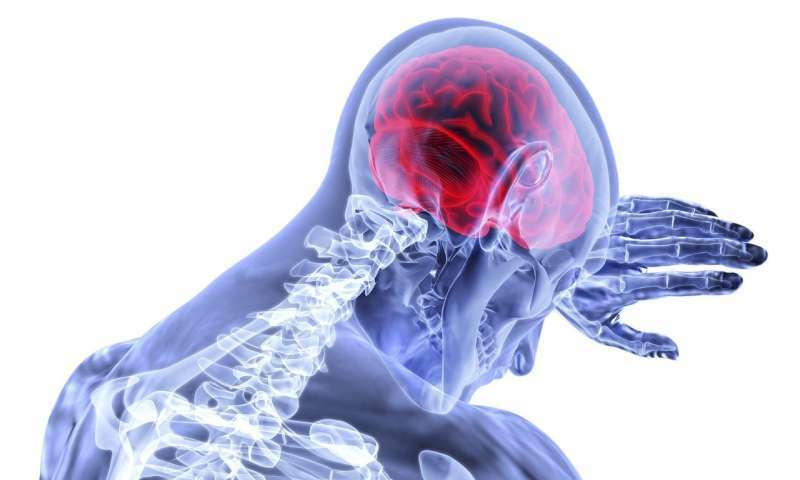 The injury to the brain caused by a stroke can lead to widespread and long-lasting problems. Currently, visual problems are often under-reported by survivors of acute strokes. In order to ascertain the number of new cases of Post stroke visual impairment (PSVI) and their prevalence, researchers from the University's Department of Health Services Research, led by Professor Fiona Rowe, examined stroke assessments of 1033 patients from three stroke units over one year. During their hospital stay each patient's visual acuity, visual fields, ocular alignment, ocular motility, visual inattention and visual perception was assessed by an orthoptist. The researchers found that the average number of days (post-stroke) before a visual screening was conducted was three and for a full visual assessment the average was four days. Excluding pre-existent eye problems, the incidence of new onset visual conditions was 48 percent for all stroke admissions and 60 percent in stroke survivors. Three quarters (752/1033 – 73 percent) had visual problems: 56 percent with impaired central vision, 40 percent eye movement abnormalities, 28 percent visual field loss, 27 percent visual inattention, 5 percent visual perceptual disorders. Of the research Professor Rowe, said: "Incidence and prevalence of visual problems in acute stroke is alarming high, affecting over half the survivors. "There are a wide range of visual disorders that occur following stroke and, frequently, with visual symptoms. There are equally a wide variety of treatment options available for these individuals. "Our research shows that early visual screening and assessment is feasible and achievable within 72 hours of stroke onset and for those initially unable to be visually assessed, most can be assessed within one week of stroke onset. "It is important to detect visual problems, regardless of whether it is pre-existent or of new onset, and disseminate the functional consequences and impact of this to patients, carers and stroke teams so this can be accounted for in activities of daily living and general mobilisation/rehabilitation. There are likely wide-ranging benefits to patients, their carers and the NHS through early and accurate identification of stroke-related visual problems."